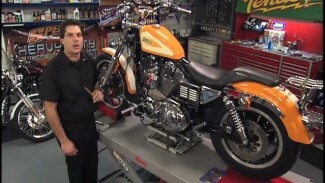 Bob’s at the bench with your Harley carburetor troubleshooting questions. He gives his suggestions on where to start when you are having fuel delivery issues. He also gets into other issues that might be the issue for a “stumbling” motorcycle. Watch how to rebuild your carburetor with our Carburetor Rebuild Class. Q: 2003 Sportster 1200, I am having problems with my carb. I put an RV cam in it, and Ultima programmable ignition system. The carb is a Ultima R-2, it has a 062 main jet as it is now I get 53miles to a 3-1/2 gal tank. I would like to know how low I can go on the main jet without starving the motor, and gain fuel mileage. A: You need try to go down on the intermediate (slow) jet. That is where most of your riding is done. Try dropping one size and see how it goes. If your spark plugs begin to look white, you are too lean. If you try dropping down more than 1 size, you should also, then, drop your main jet. If the Jets are too far apart (in size) you will not have a Smooth transition between jets when you really open up your throttle. 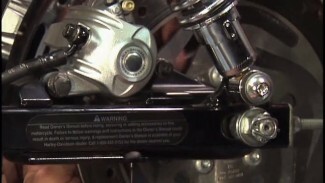 Your Harley carburetor troubleshooting is not working…there is statement in the video window that the video is currently experiencing problems, check back soon. Hi, Pete. Sorry to hear this. Can you let us know more about the issue? Have you tried these videos? https://www.fixmyhog.com/videos/carburetor-rebuild/ Any quality carburetor cleaner will help clean your carb but many issues are gummed up inside. You will need to take apart the carb. My bike will only idle when the choke is on. May have old gas. i have a 1993 flstc. out of no where , the carb started leaking from the float bowl. 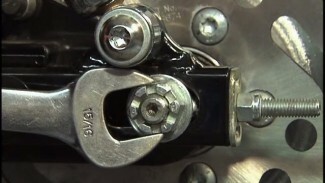 it looks like it might be coming from around the shaft that operates the diaphram on the side of the bowl. what should i do? Hi Marvin. Sounds like you have a torn accelerator pump diaphragm. It’s not uncommon. When you pull the carb, suggest replacing your intake seals if they have not been replaced in a while. I just cleaned my carburetor on my 2004 sportser 1200,and now the bike will only run when its choked.